Our casual Saturday date night at Diamond Dogs was the perfect summer Saturdate. 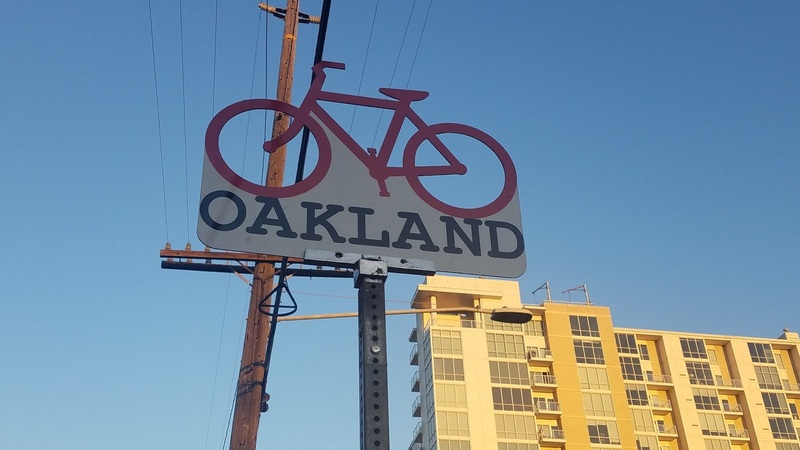 It was a gorgeous and summer afternoon in Oakland, CA and we got to eat hotdogs al fresco style and got to drink cold beer. Now, wasn't that perfect? 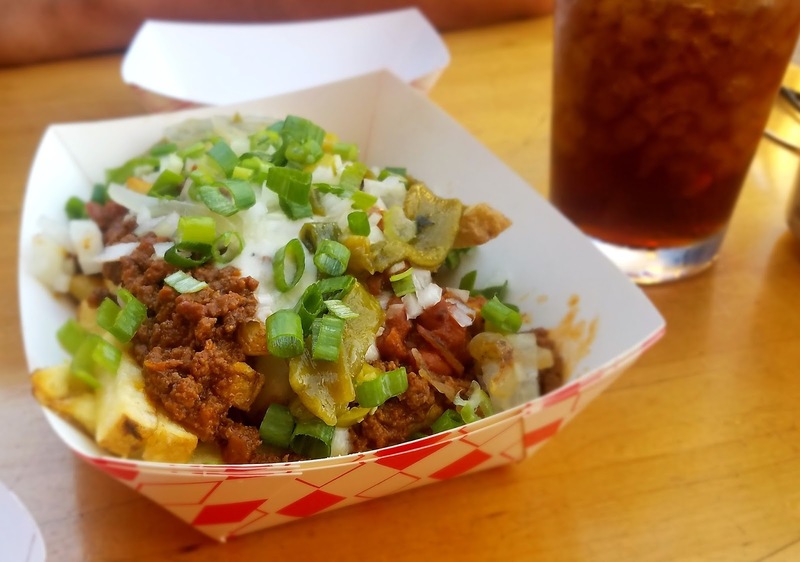 First off, we started with Cowbow Fries $9 with chili cheese, rajas, baked beans and crema. 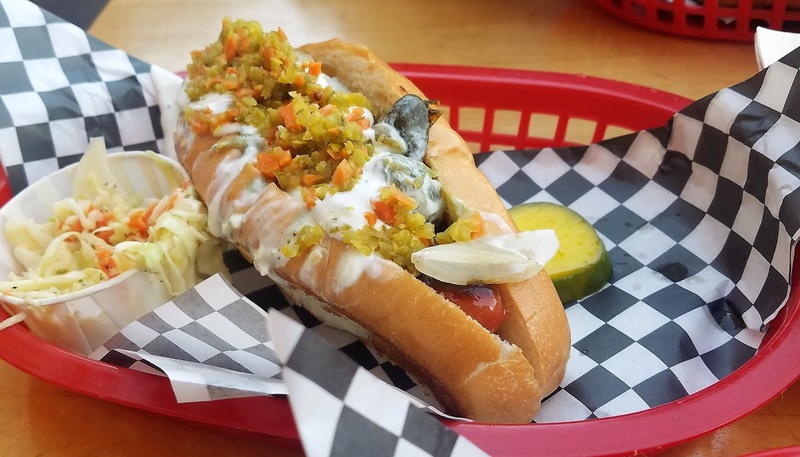 Mr Sweetie ordered two dogs -- 1) Sonora Dog $9 which is bacon-wrapped dog, with avocado, rajas, with spicy relish and cilantro crema, and 2) the Classic Diamond Dog $9 which came with beer mustard and bacon jam. I might be a grownup but I have not (and will never) outgrow my love for corn dogs which was what I had. 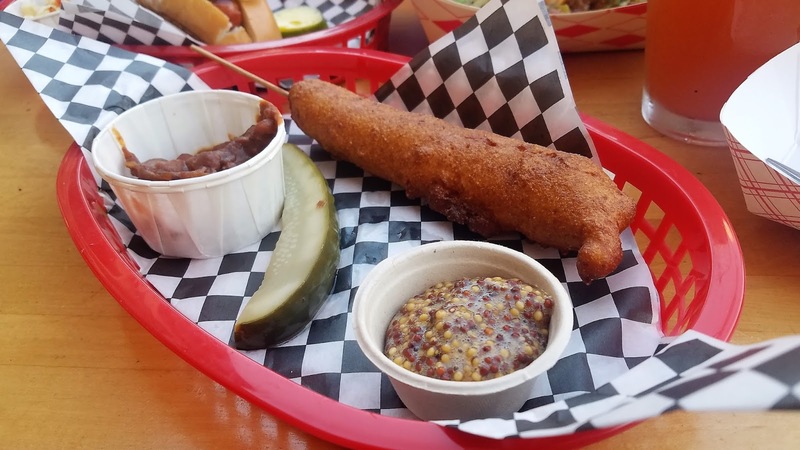 My Corn Dog $6 came in jalapeno corn batter and served with mustard. 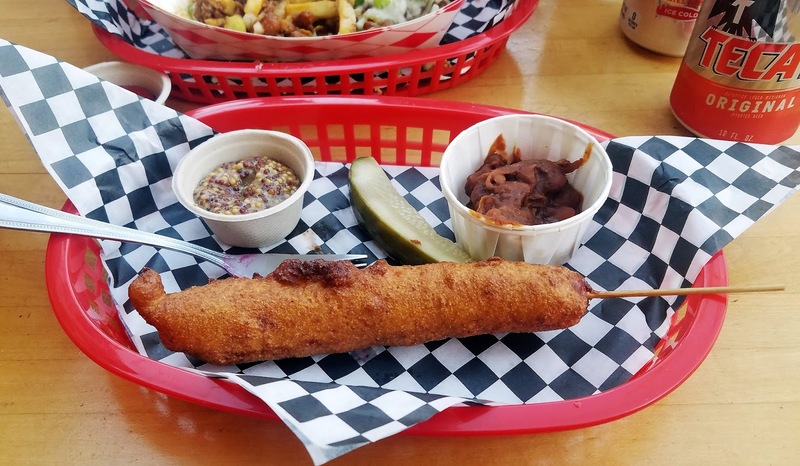 It was not the sweet corn dog of my childhood but I like the savory taste. Each dog order came with a choice of slaw or beans. 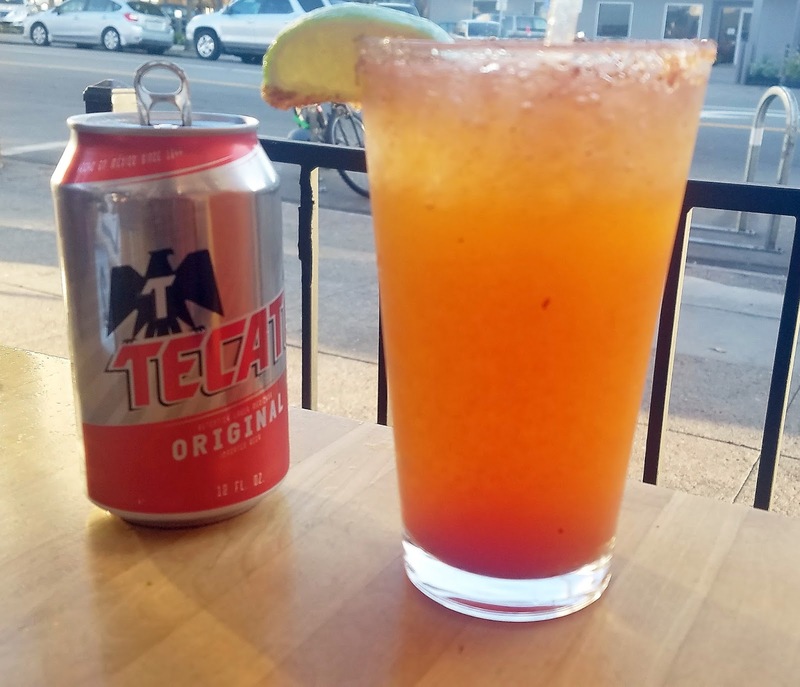 The only beef I had with Diamond Dogs was my Michelada $5 was not all the great, IMHO. It was on the pale side. 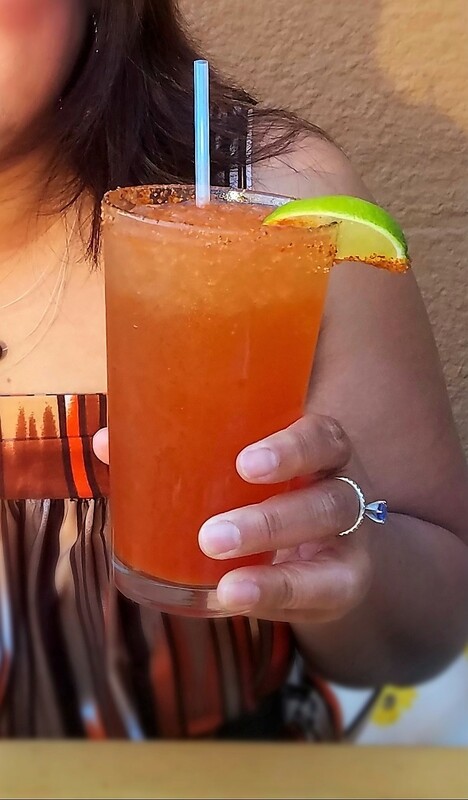 I like my michelada to be robust and rich with tomato/chili taste. It was served with Tecate beer. It was a beautiful and delicious date night, overall. Beautiful day and Jack London Square is just across the street but we went back home to chill and watch our shows. 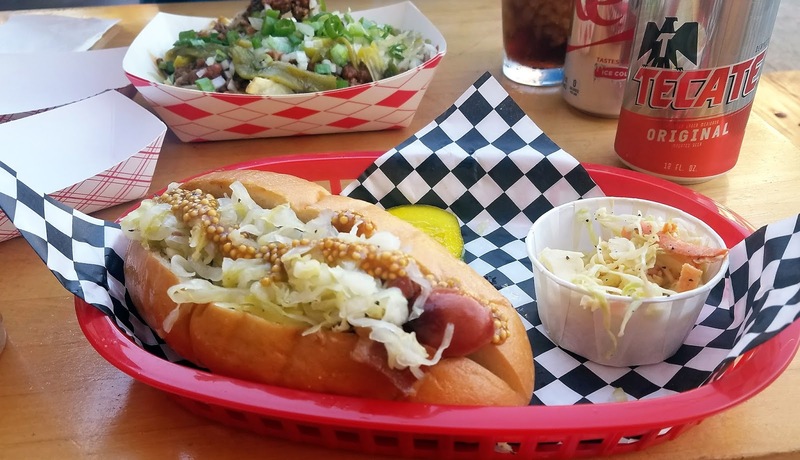 Diamond Dog is perfect for dog and beer lovers. They serve draft beers that come directly from breweries. The dog toppings are made fresh from scratch. Veggie dogs are available as well. And most importantly to me, service was very friendly and attentive. I really do not mind going back again for another round. Tab was $50 including iced tea, michelada, tax and tip.